The prior and community at Blackfriars wish you all a Merry Christmas. 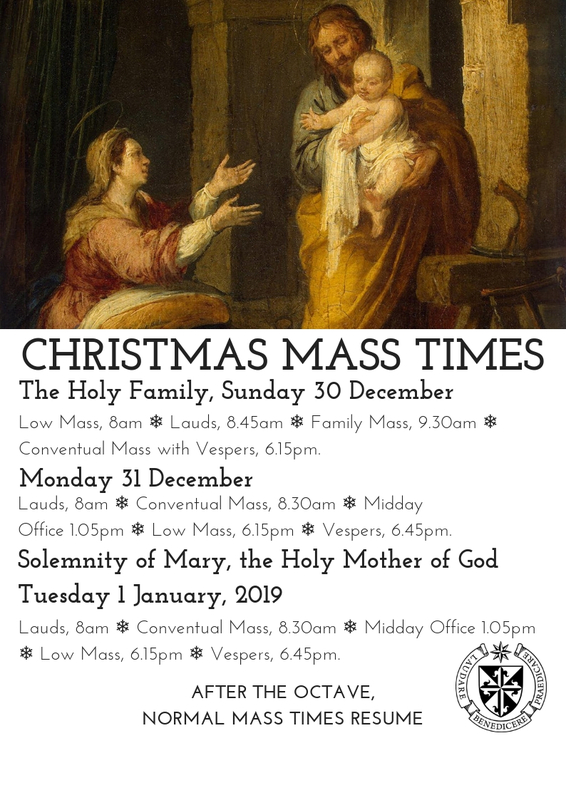 All are most welcome to join us for Holy Mass and the Divine Office over these special days, but please be aware that our service times are not always at the usual times. Low Mass, 8am; Lauds, 8.45am; Family Mass, 9.30am; Conventual Mass with Vespers, 6.15pm. 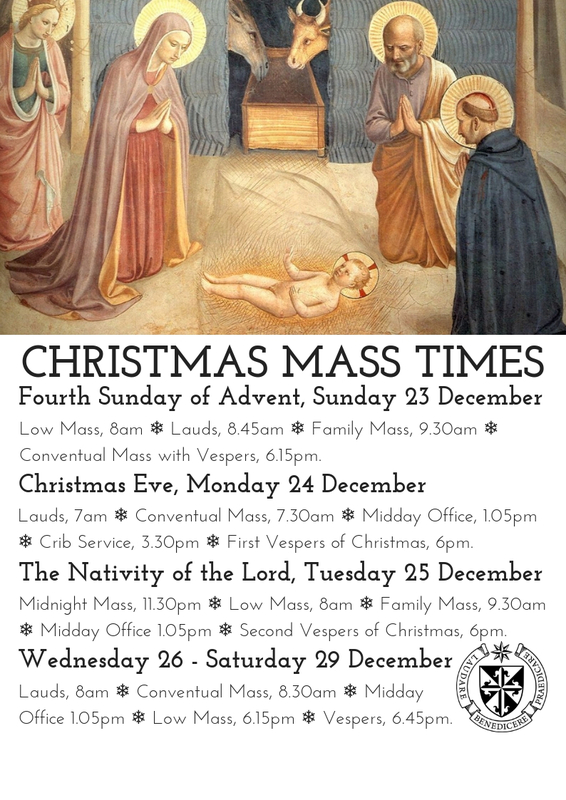 Midnight Mass, 11.30pm; Low Mass, 8am; Family Mass, 9.30am; Midday Office, 1.05pm; Second Vespers of Christmas, 6pm. NO 6.15PM MASS TODAY. Lauds, 8am; Conventual Mass, 8.30am; Midday Office, 1.05pm; Low Mass 6.15pm; Vespers, 6.45pm. After the Octave, normal liturgy times resume.